"Drewry has been very helpful to us in benchmarking our shipping costs and in developing strategies to improve our shipping efficiency and effectiveness." "Drewry’s Benchmarking Club enables us to ensure that we secure competitive freight rates with carriers and identify lanes where we could possibly further lower our costs." 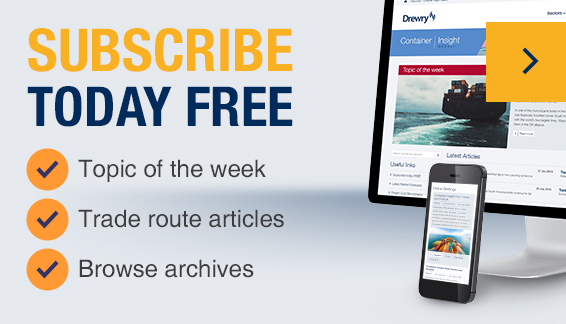 "We selected Drewry’s Benchmarking Club to benchmark our ocean rates with other retail industry leaders and to gain insight into container shipping market trends, forecasts and best practices through webinars provided to Club members by Drewry." “The Drewry Benchmark Program has provided us with the insights - like Contract Freight Rate Benchmarks, Market and Best Practice Intelligence - to understand how one is positioned given the volatile and potentially irrational nature of the container marketplace. This knowledge has been used for validation and / or identification of efficient procurement activities to our financial officers and has given us a toolkit to enter negotiations from a position of confidence and strength." "The Drewry Benchmark Club is helping us structure and organise historical benchmarks on our priority lanes globally. The feedback coupled with market specific intelligence gives us a good platform to evaluate our carrier strategy and procurement against peer shippers. We combine the Benchmark Club’s historical perspective with current market rate visibility using Drewry’s CFRI to know where we stand at any given point in time. The Benchmark Club benefits us both in terms of peace of mind as well as being an active tool for procurement." Access to an exclusive ocean freight cost benchmarking club comparing costs on over 2 million teu of freight for more than $2.3bn of freight spend.